A heated exchange of words ensued between National Policies and Economic Affairs State Minister Dr. Harsha de Silva and Industry and Commerce Deputy Minister Buddhika Pathirana in Parliament yesterday, over corporal punishment on children. Deputy Minister Pathirana argued in favour of corporal punishment on children to maintain discipline in schools while State Minister de Silva firmly spoke against it. 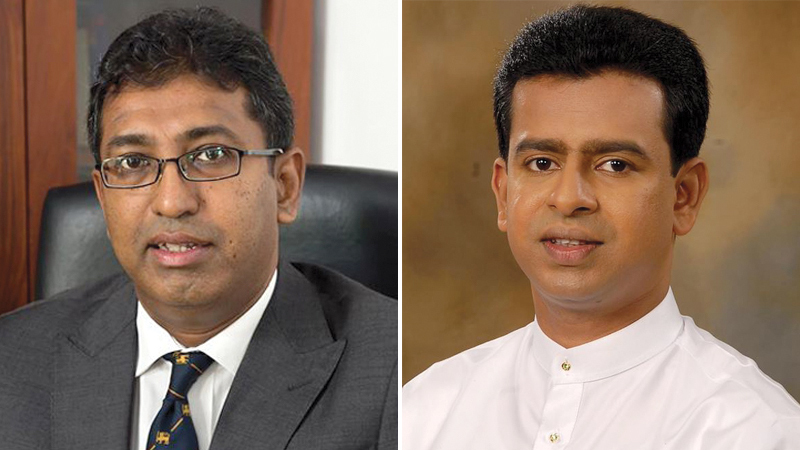 The two members were speaking on a Private Member’s Motion by UNP MP Rohini Kumari Wijeratne which proposed to implement a programme to properly carry out disciplinary inquiries by Student Discipline Committees of schools. Dr.de Silva pointed out that caning or meting out giving physical punishment to children for minor offenses badly affects their mentality and they tend to become violent when they become youths. “These physical punishments leave bad memories on children and affect their personality. Such children may become violent or repeat such acts to their children,” he said. Deputy Minister Pathirana countering de Silva said that minor corporal punishments are needed to maintain discipline in schools. “Today the discipline is seriously eroding in schools. Students are assaulting teachers and principals. Our society is very regressive and child protection laws are being misused. We need to revise those laws,” he commented. Dr de Silva objecting to the Deputy Minister pointed out Sri Lanka Parliament has passed Corporal Punishment (Repeal) Act in 2005 and according to it giving corporal punishment is against the country’s laws. “You are an MP and you cannot speak in the House in favour of breaking the country’s laws. I too am a father of two children and I have never given physical punishment to them. It must be firmly stated here that the teachers cannot give corporal punishment,” said de Silva.